February 19, 2018 – Newburyport, Massachusetts - UFP Technologies, a producer of innovative, custom-engineered packaging and components for medical devices, orthopedic implants, fixation devices, and surgical instruments will be exhibiting at HealthPack from March 6-8, at booth #6. Utilizing advanced medical foams, films, and specialty materials we strive to design and manufacture innovative sterile packaging systems in order for our customers to safely ship medical instruments without incurring damage to external packaging. At this year’s conference, we will be showcasing our latest solutions for sensitive medical devices and instruments including FlexShield® sterile barrier packaging. 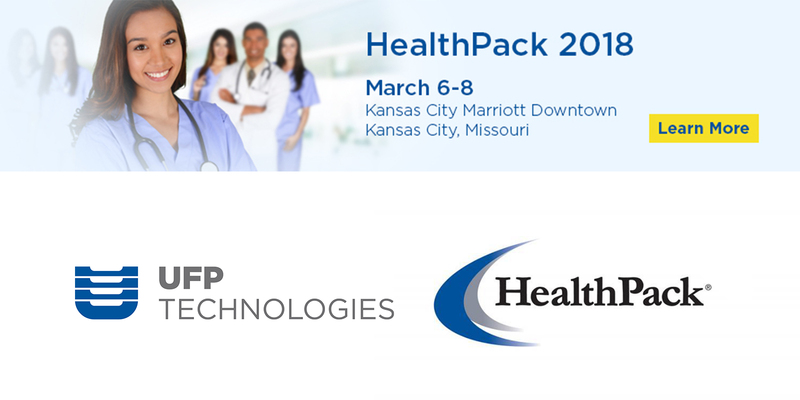 HealthPack is a medical device packaging conference which brings together industry professionals to explore the latest trends and generate ideas and solutions to create efficient, innovative packaging.